Google Forwarding Numbers Not Showing in Call Extensions? Why aren’t Google Forwarding Numbers Showing in My Ad’s Call Extensions? We recently came across a situation where we set-up call extensions for our client with a Google-forwarding number. However, in testing to make sure it was working, our call extension numbers were not showing up consistently. We have a client that we recently launched. 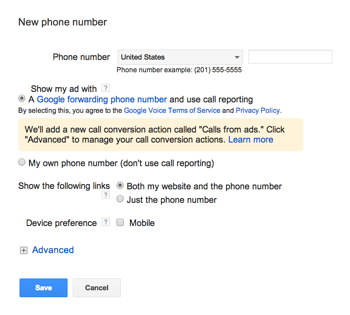 As part of the launch we set-up call extensions in Google AdWords. They were set-up at the campaign level and we enabled the Google Forwarding number to track conversions from ads. The forwarding number allows Google to replace the client’s phone number in the ad extension of the ad with a Google provided number. When a searcher either performed a “Mobile Click-to-call” or saw our ad on a SERP and called it, we could see that conversion in AdWords. The call would be forwarded to the predetermined number that we had set-up in our call extension. 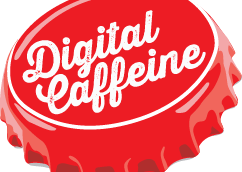 We noticed that while the call extension was being triggered, we were perplexed as to why different campaigns were showing the forwarding number while others were showing the client’s static number. Digging deeper, we noticed this was happening within campaigns as well. After double-checking that everything was set up properly, and doing more testing to verify this was actually happening, we reached out to Google to find out what was up with this. It turns out that call extensions, even when set-up at the campaign level, are deployed at the ad group level, especially when it comes to forwarding numbers. Each ad group then has a threshold that they must meet before the call-forwarding number is deployed and substitutes the static number in your extension. I’ve been told that the threshold is between 20-50 clicks per month to start showing the forwarding number, and then “most likely” 10-20 clicks per month to maintain that threshold. (I put “most likely” in quotes as Google engineers don’t state that on record, but that seems to be the consensus from advertisers). When you set-up call extensions with forwarding numbers, your ads don’t automatically start showing that forwarding number until the ad group reaches a 20-50 threshold of clicks. And in order to keep showing that number, you must maintain a similar (yet smaller) threshold of clicks on a monthly basis. To check whether or not you are at that threshold, you can open up the ad extensions report, make sure the view is set to “call extensions” and then segment by “click-type.” Once the total clicks in that view are in that 20-50 range (per ad group) your forwarding number will start working. Only mobile click-to-call numbers can track these call conversions to the keyword. If a searcher views the number on their desktop or tablet and calls the forwarding number, the conversion will stay at the ad group level. Forwarding numbers are assigned at the ad group level, not the keyword level, however with mobile click-to-call the chain can be connected. Oddly enough, this set-up seems to reward those people that have lots of keywords in each ad group instead of breaking them out to try and make sure that ads and keywords are properly matched up in ad groups. So here’s on reason to have more keywords per ad group then less.